Dempster’s Coupon is a printable coupon to save on Dempster’s bread. 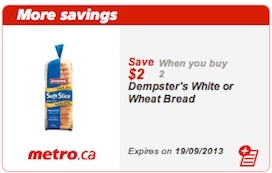 You can find Dempster’s coupon on Metro’s website. Visit Metro only, click on Metro’s coupons, select the Dempster’s bread coupon, print off the coupon and bring into any Metro store to save money on groceries. 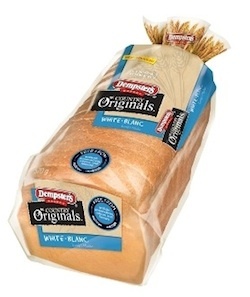 Dempster’s coupon is to save $2 on two (2) Dempster’s wheat or white bread. Dempster’s bread is valid only in Metro grocery stores across Canada.